Veterinarian Jodi Bowman has lost confidence in her skills after a series of bad outcomes leave her questioning her every move. Her assistant Cole Jameson offers the support she needs to get back on her feet, and as their mutual affection deepens, Jodi wonders if Cole might not be as straight as she appears. Cole lost everything in a workplace romance once before, and she has no interest in allowing history to repeat itself. But can she resist Jodi, and her own heart? As wildlife carers Charlie and Pip settle into their new relationship, immigration challenges threaten to tear them apart. 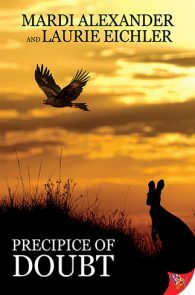 When all four women confront the wrath of the Australian wilderness, will love be enough to guide them?